George Davies of Standish in Clinton County was about as tough an Adirondacker as you’ll find anywhere. 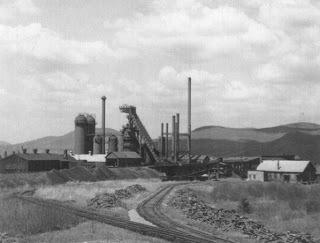 Standish was the sister community to Lyon Mountain during its century-long run of producing the world’s best iron ore. Davies (1892–1983) was among the many old-timers I interviewed around 1980 for my second book, Lyon Mountain: The Tragedy of a Mining Town. He was kind, welcoming, and honest in describing events of long ago. George was a good man. The stories he told me seemed far-fetched at first, but follow-up research in microfilm archives left me amazed at his accuracy recounting events of the early 1900s. His truthfulness was confirmed in articles on items like strikes, riots, injuries, and deaths. 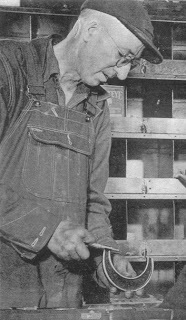 When I last interviewed George in 1981 (he was 88), he proudly showed me a photograph of himself as Machine Shop Supervisor in the iron mines, accepting a prestigious award for safety. I laughed so hard I almost cried as he described the scene. George, you see, had to hold the award just so, hiding the fact that he had far fewer than his originally allotted ten fingers. He figured it wouldn’t look right to reveal his stubs while cradling a safety plaque. In matter-of-fact fashion, he proceeded to tell me what happened. Taken from the book, here are snippets from our conversation as recorded in 1981: “I lost one full finger and half of another in a machine, but I still took my early March trapping run to the Springs. I had a camp six miles up the Owl’s Head Road. While I was out there, I slipped in the water and nearly froze the hand. I had to remove the bandages to thaw out my hand, and I was all alone, of course. It was just something I had to do to survive. 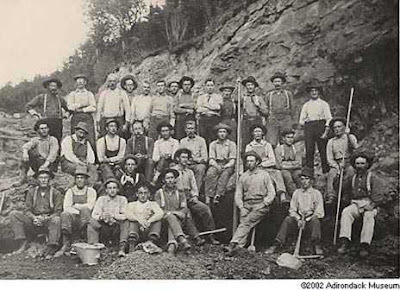 “When I started working down here, the work day was twelve hours per day, seven days a week, and the pay was $1.80 per day for twelve hours [fifteen cents per hour] around the year 1910. That was poor money back then. When they gave you a raise, it was only one or two cents an hour, and they didn’t give them very often. “In one month of January I had thirty-nine of the twelve-hour shifts. You had to work thirty-six hours to put an extra shift in, and you still got the fourteen or fifteen cents per hour. It was pretty rough going, but everybody lived through it. Some people did all right back then. Of course, it wasn’t a dollar and a half for cigarettes back then [remember, this was recorded in 1981]. “Two fellows took sick at the same time, two engineers that ran the switches. They sent me out to work, and I worked sixty hours without coming home. Then the boss came out to run it and I went and slept for twelve hours. Then I returned for a thirty-six hour shift. 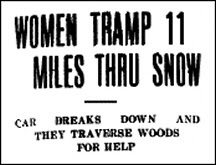 No overtime pay, just the rate of twenty-five cents per hour.” Now THAT’s Lyon Mountain toughness. His father was in charge of repairing the trains, and young George climbed aboard as often as he could. “I was running those engines when I was sixteen years old, all alone, and I didn’t even have a fireman. I always wanted to be on the railroad, but I had the pleasure of losing an eye when I was nine years old. I was chopping wood and a stick flew up and hit me in the eye. Next week: A few of George Davies’ remarkable acquaintances. ← Another Storm of the Century:What Are Your Historical Responsibilities?